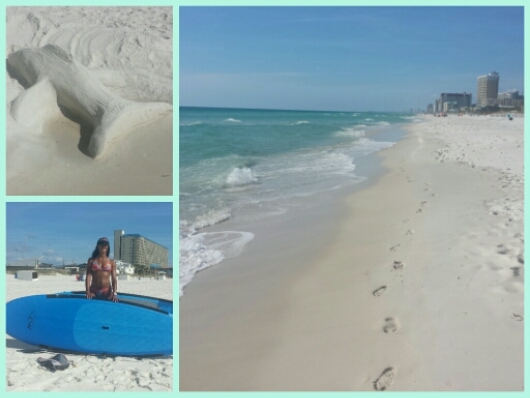 Panama City Beach is home to a 27 mile stretch of white sandy beaches and emerald green waves. The first week in November held on to warm enough temps to enjoy the water. St. Andrews State Park is a part of the Ironman Florida run course. A short ferry ride to Shell Island is a popular attraction. Open 24/7. For a small fee, County Pier is good for fishing and viewing ocean life. 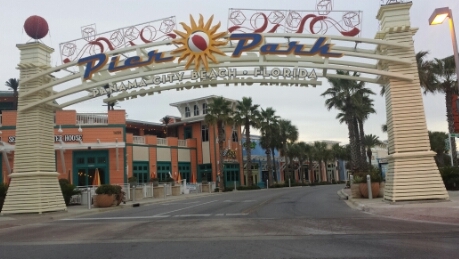 Pier Park is the shopping and entertainment mecca of Panama City Beach. It has a boardwalk/outlet vibe with plenty of places to satisfy food cravings. What’s a vacation with out indulging in the spots where the locals dine. Froyo is cute, but sometimes you need a high caloric double scoop on a waffle cone. Make that 2. 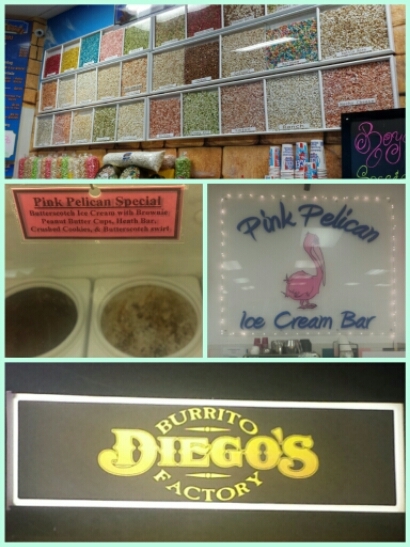 Pink Pelican, Firefly, Moe’s Original BBQ, Diego’s and Popcorn Kingdom were the best! 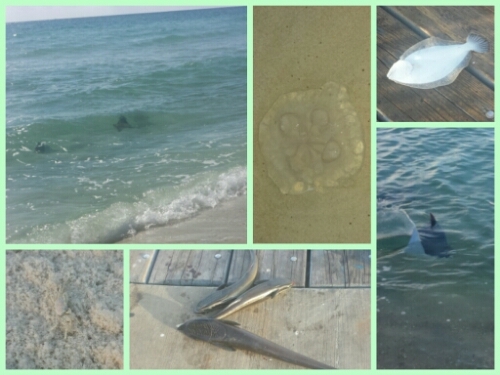 See ya’ next time PCB! 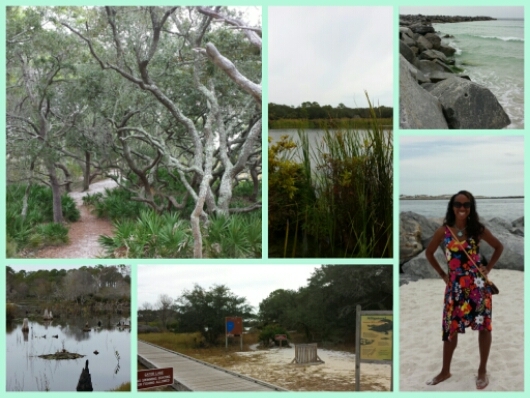 This entry was posted in Florida, Travel and tagged panama city beach, Travel. Bookmark the permalink. Being that it was the off season, it almost felt like a private beach. I can’t wait to go back during peak season. Any change in scenery is a good thing. Have a blast in February!